Here we are back with a new deal for you. 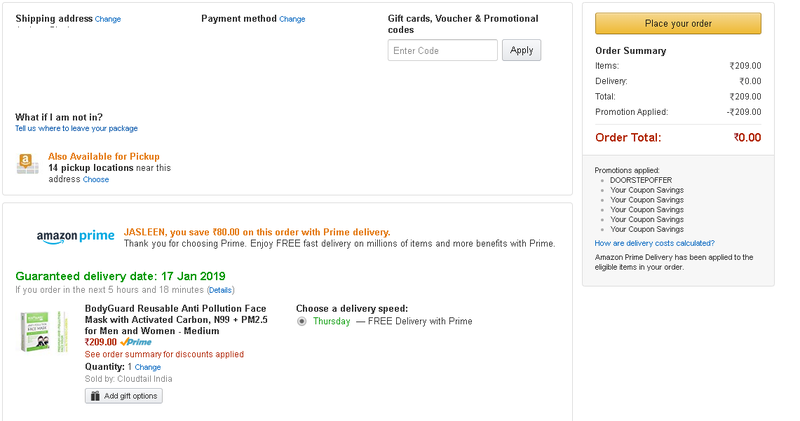 Amazon is selling BodyGuard Reusable Anti Pollution Face Mask with Activated Carbon, N99 + PM2.5 for Men and Women – Medium for Rs 0 only. So, grab this awesome deal now, before it goes out of stock. 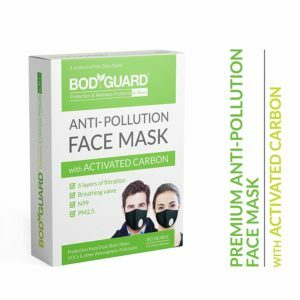 How to buy BodyGuard Reusable Anti Pollution Face Mask with Activated Carbon, N99 + PM2.5 for Men and Women – Medium from Amazon? Hurray, got the one free of cost. Mentioned process working fine (at present). Hurry up. Grab the deal fast before Amazon identify the loop hole.